At Sheppard Mullin, antitrust and competition law has been a premier practice for decades, as one of the firm's name partners co-founded the Antitrust Section of the American Bar Association. That tradition continues today with our highly ranked global antitrust and competition practice, as underscored by Chambers USA noting "they get my highest marks - they just had such a breadth of expertise”. Our global competition resources include lawyers in California, Washington D.C., New York, Brussels, London, Seoul, and Shanghai. Our Antitrust and Competition Group has numerous matters at the United States Department of Justice, the Federal Trade Commission, State Attorneys Generals, the European Commission and EU member states. In the U.S., our lawyers counsel clients and handle litigation involving the federal Sherman, Clayton and Robinson-Patman Acts, as well as state antitrust statutes including California’s Cartwright Act, Unfair Practices Act and Unfair Competition Law. Internationally, we advise on EU competition law, EU state aid, UK and various EU member states' antitrust and regulatory matters, and China’s Anti-Monopoly Law. Experience from former DOJ Antitrust Division attorneys and European Commission competition lawyers. Chambers USA named our Antitrust Practice as top tier in California, and Legal 500 highly ranks our Antitrust practice in the U.S. Chambers USA recognized Michael Cohen, Gary Halling, James McGinnis and Mike Scarborough as top attorneys in Antitrust individually. Legal 500 Europe ranked our EU practice for Belgian law and EU and Global Competition law. Chambers Europe has named Jacques Derenne a “Star Individual” in Belgium Competition/State Aid, and he is ranked by Legal 500, GCR and the Best Lawyers of Europe. Isabelle Rahman is ranked by Chambers Europe and Chambers Global (EU competition) and she is recommended by European Legal Experts, Practical Law Company (PLC), IFLR 1000, Chambers Global and The Legal 500 EMEA. Robert Klotz is ranked by Chambers Global (German and Belgian competition law and German M&A) as well as Legal 500. Oliver Heinisch is ranked in Legal 500 and Chambers Global, Europe and UK. 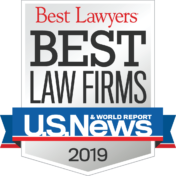 U.S. News & World Report / Best Lawyers in America ranks Sheppard Mullin among the “Best Law Firms” in the United States, including a national Tier 1 ranking of the firm’s Antitrust Practice. Benchmark Litigation has annually recognized Gary Halling as a Litigation Star and Michael Scarborough as a Future Litigation Star, and recommends our California practice. Global Competition Review's “Who’s Who Legal: Competition” 2017 selected Jacques Derenne and Robert Klotz for recognition. Optronic Technologies, Inc. v. Ningbo Sunny Electronic Co., Ltd., Case No. 16-6370 (N.D. Cal. ): Successfully obtained dismissal for telescope manufacturer Ningbo Sunny Electronic Co., Ltd., Sunny Optics, Inc. and Meade Instruments Corp. against price-fixing, market allocation, monopolization and attempted monopolization claims. Motorola Mobility vs. Samsung SDI: secured dismissal of multi-billion dollar TFT-LCD price-fixing claims based on overseas purchases. In re Dynamic Random Access Memory (DRAM) Antitrust Litigation: represented industry leading defendant in federal and state civil actions alleging price fixing in the memory chip market, as well as in related grand jury proceedings. In re Lithium Ion Batteries Antitrust Litig., MDL No. 2420: served as national counsel defending industry-leading multinational electronics companies in criminal and civil price-fixing actions regarding lithium ion rechargeable battery products. In re Cathode Ray Tube (CRT) Antitrust Litigation, MDL. No 1917: served as national counsel defending coordinated antitrust price-fixing class actions, opt-out actions, and state attorney general claims, as well as related grand jury proceedings. In re TFT-LCD (Flat Panel) Antitrust Litigation, MDL. No 1827: served as national counsel and defense liaison counsel for coordinated antitrust price-fixing class actions, as well as in related grand jury proceedings. In re Currency Conversion Fee Antitrust Litigation: represented MasterCard International Incorporated in multidistrict litigation under federal antitrust laws and Truth In Lending Act. Reached comprehensive settlement, affirmed by the Second Circuit. Schwartz v. Visa Int'l Inc., et al. : for MasterCard International Incorporated, obtained dismissal of representative action brought under Cal. Bus & Prof. Code § 17200 challenging currency conversion practices of MasterCard and Visa following lengthy state court trial and appeal. In re SRAM Antitrust Litigation, MDL No. 1819: defended industry-leading international electronics company in civil price-fixing class actions regarding static random access memory chip products, and related grand jury proceedings. Rambus, Inc. v. Samsung Electronics, Inc.: represented Samsung in multi-billion dollar horizontal boycott litigation regarding Rambus claims involving suppression of next generation of DRAM computer chip. Healthcare Acquisitions: defending acquisitions involving healthcare entities, including ongoing antitrust litigation between competing hospitals and representing multiple hospitals and doctor groups in clinical integration and affiliation transactions in California and New York. The Hearst Corporation: successfully defended client in high profile San Francisco federal court trial in private antitrust action challenging acquisition of the San Francisco Chronicle. Cascades v. RPX: defending Samsung Electronics against boycott and monopsonization claims relating to smartphone patent licensing and membership in defensive patent aggregator RPX Corporation. California Law Institute v. Visa USA, Inc. et al. : for MasterCard, obtained dismissal of putative representative action brought under CA UCL (§ 17200) alleging that MasterCard's chargeback policies were unfair and/or unlawful under UCL. Schickel v. Sterling Jewelers, Inc.: represented Sterling Jewelers in consumer class action litigation alleging deceptive practices allegedly violating CA Unfair Competition Law. Claims voluntarily dismissed by plaintiffs. Cartel State Law Claims: defending industry leading electronics companies in series of national indirect purchaser MDL class actions against numerous state law unfair competition claims regarding DRAM, LCD, CRT, SRAM and Lithium Ion batteries industries. In re Credit/Debit Card Tying Cases: representing MasterCard International in coordinated class actions and related appeals following settlement concerning alleged nationwide payment card tying practices and alleged network “exclusionary” rules. In re Guida-Seibert Dairy: represented Guida-Seibert in antitrust investigation of alleged price-fixing in school milk industry. Represented company in debarment proceedings before U.S. Departments of Defense and Agriculture. Represented company in investigation by Connecticut Attorney General into alleged price discrimination among milk retailers. Harris v. Duty Free Shoppers, Ltd.: defendedcommercial bribery claim under the Robinson-Patman Act and California Unfair Practices Act, dismissed following successful Ninth Circuit appeal. Standards Essential Patents Investigations: Successfully defended Samsung Electronics in Department of Justice investigation concerning Samsung’s mobile technology standards essential patents. Auto Parts Antitrust Grand Jury and Litigation: defending a senior auto parts executive in a DOJ grand jury investigation and a major Japanese auto parts company to defend related class action civil litigation. Defended numerous DOJ Antitrust international cartel price fixing cases, including coordinating defense of related international investigations in the EC, Japan, Korea, Canada, Brazil and elsewhere. Home Foreclosure Antitrust Grand Jury: defending companies and a principal in a DOJ antitrust grand jury investigation into alleged bid rigging of home foreclosure sales and related proceedings. Samsung Electronics: defended nationwide DRAM, TFT-LCD, SRAM, Flash DOJ grand jury and foreign enforcement investigations and related direct and indirect class action price fixing actions nationwide. Samsung SDI: defending companies in DOJ Antitrust Division grand jury criminal price fixing and foreign enforcement investigations involving cathode ray tubes and lithium ion batteries. Exclusive Dealing: How Long Is Short? Is Obama the New Trust-Buster? The Justice Department is looking into whether firms agreed to refrain from recruiting each other’s top talent.